A/C crashed at approx 1630 hrs in Daman District, approx 8.5 mi N of KAF during live test fire training mission. The SWT departed the airfield and arrived on station at 1610 hrs. A/C was departing after successful dry fire engagement in a right hand outbound turn and at 400' AGL, M/R RPM decreased to 79% and Ng to 68%, descended and impacted the ground in a 5 deg left-side low attitude coming to rest on right side. A/C went down in Babus area, Pul-e Alam district of Logar province while performing aerial support to ground troops in contact. While on a 2-ship SWT at approx 1320 hrs, A/C was at 538' AGL and 33 KIAS when a complete loss of T/R thrust and went into a rapid, uncontrollable right yaw with vertical descent rate of 4000 FPM impacting the ground. 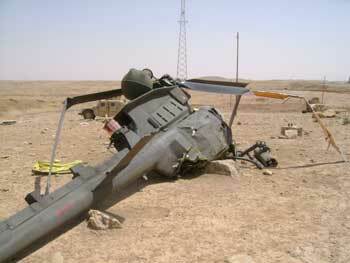 A/C was shot down by enemy fire in Qarah Bagh, Ghazni province while providing air support. Two A/C crashed after 2000 hours in an aviation training area SW of Joint Base Lewis-McChord (JBLM) during a training flight approx 2 mi south of Spurgeon Creek Road Southeast and Rainier Road Southeast. Pilot, ATC and comm issues were all factors that led to mid-air crash. A/C crashed after a wire strike off I-75N near exit 141 close to Royal Blue Recreation Area in Campbell county about 1730 hours during a routine training flight. A/C crashed in Sabari district in Khost Province while failing to pull out of diving fire to engage IED emplacers. A/C entered a high airspeed/rate of descent below recoverable altitude while crew was fixated on target with additional factors of steep angle, out-of-trim condition, slight tail wind and high grwt of A/C. 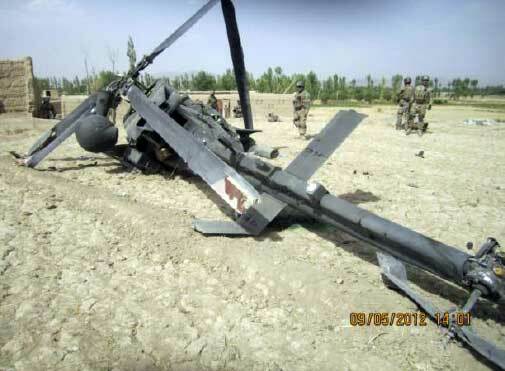 A/C crashed in Alasay district of Kapisa province when tailboom struck by RPG. 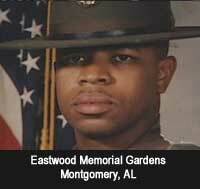 A/C crashed at approx 2230 hours at Molinelli Range on Ft Rucker during Stage 1 NVG gunnery training. Cause of crash was undetermined due to post-crash fire. A/C crashed near Q-West at approx 1430 hours while on a ferry flight out of Iraq to Kuwait. A FADEC failure caused A/C to divert to Q-West. A/C was conducting test fire at Memorial Range and crashed at 2210 hrs after wire strike 2 km W of COB Speicher near Tikrit while under NVGs. 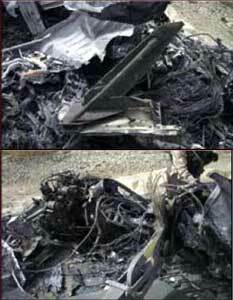 A/C was on a routine MTF, crashed hard and burned at Wheeler AAF at approx 1530 hours. Investigation stated a drop in airspeed, a failure to abort the autorotation and a belated attempt to power back up sent the A/C into a descent greater than 300 FPM into its own downwash. A/C were taking evasive action due to direct enemy fire and collided in Multaquia district of Tamim Province, 18 mi W of Kirkuk at 0202 hours. SWT consisting of 2 was on a convoy support mission and during the final leg, crew began flying under NVGs. At 1806 hrs and approx 19 min after going under NVGs, the A/C struck a 370' communications tower in the eastern part of Mosul. A/C was on a SWT conducting route recon and convoy security in support of TF Pacesetter in the Dowlat Shah district of Laghman Province when it came under SA fire at 1540 hrs. 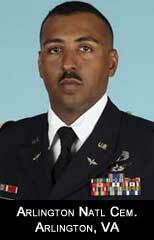 Right seat Pilot was hit in the leg, CP flew A/C to COP Najil for Medevac to Bagram. 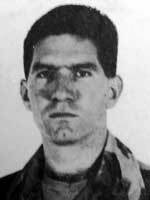 Pilot died as a result of wound received by enemy fire. 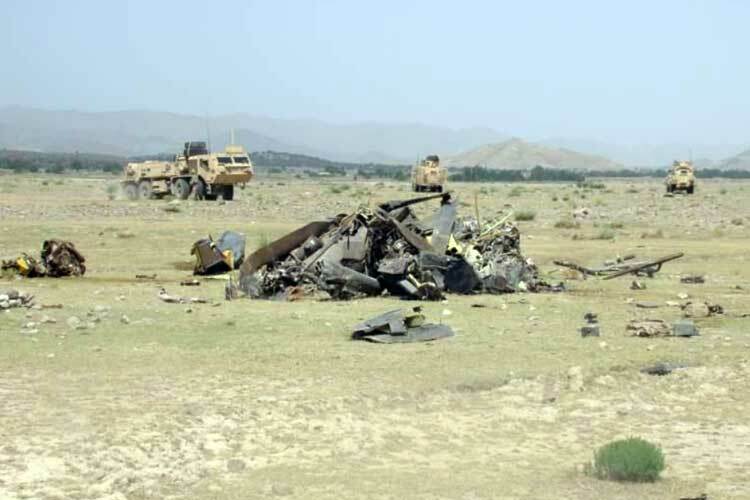 A/C crashed during a test flight at Kandahar AAF. Cause was a low side FADEC failure that occurred as pilot entered an autorotation while performing Autorotation Check during MTF. The failure caused NG to stabilize below idle speed, not allowing the engine to be reclaimed when throttle was rolled back up. Rotor RPM bled off and A/C fell approx 700' AGL. 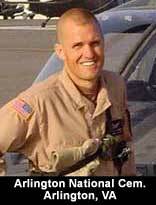 A/C was flying lead in flight of 2 providing over-watch and security for a convoy. A/C was flying at 80 KIAS and 80' AGL when pilot initiated a steep cyclic climb to avoid electrical wires. T/B struck the wires just forward of vertical fin, ripping it and half of the T/R. 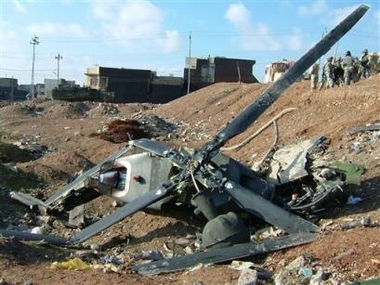 A/C climbed about 50', leveled off and nose began to turn to right, rotating 3 times and struck the ground, M/R blades stopped almost immediately in Ninewah Province SE of Mosul at 1212 hrs. Excessive deceleration injured the PC and fatally injured the PI. A/C was recovered and transported back to FOB Marez East (FOB Diamondback). SWT received SA fire and A/C manuevered to engage the point of origin of fire. While approaching target, A/C was hit and sister ship performed evasive action. As a result of being hit, A/C crashed into a palm grove, impacting low on right side in a NW heading south of Abu Sayda between Baqouba and Muqdadiyah at approx 1806 hrs. 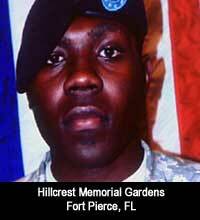 Died from wounds received when his recon helicopter was fired on during combat near Mosul. A/C struck top of embankment and cartwheeled into ground after receiving hostile fire while conducting a combat air patrol with another OH-58D in Mosul just outside of FOB Courage at 1402 hrs. 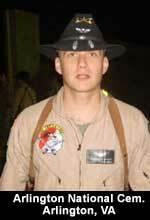 TF Freedom pilot killed by SA fire near Tal Afar at approx 1907 hrs. The A/C took rounds and the PI was able to recover but had to make an emergency landing at COP Renegade, he was unable to fly back to base. 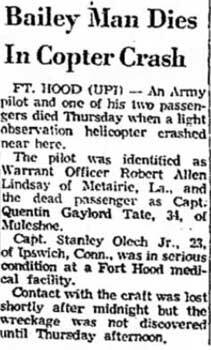 Medevac had to come in to get the aircrew out, later that night an SP and MTP had to fly out to recover the aircraft. A/C was operating on second FRAGO within 30 minutes of takeoff, 2 days prior to the first Iraqi national elections (the city was full of activity). 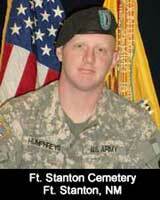 There was zero illum., and were providing air cover to White 14G who had just lost three to an IED. They were operating low and fast looking for an exfil route for their ground brothers when they hit the wires and crashed in SW Baghdad at approx 1907 hrs. Flight of 2 had a mid-air collision over southern Baghdad during zone recon mission at approx 2109 hrs. A/C were at 100' AGL and 35 KIAS when trail's M/R blades struck lead's vertical fin and T/R components. Both lost control and impacted the ground. Collision due to combination of trail losing sight of lead and unannounced 360 deg turn by lead. A/C crashed into the Euphrates River near Haditha at approx 1358 hrs after striking a ferry cable across the river. A/C crashed and submerged nose first into the Tigris River near Bridge 3 in Mosul at approx 1806 hrs due to wire strike while searching for a missing soldier from a capsized boat. A/C crashed shortly after takeoff from Q-West near Mosul at 2020 hrs while conducting right seat rides as the 101st was conducting a RIP. A/C was attempting to abort the mission due to weather and return to the base. 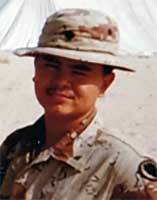 A/C shot down by enemy ground fire and crashed in Fallujah at approx 1212 hrs. Assigned to 1/82 AVN as TF Wolfpack. 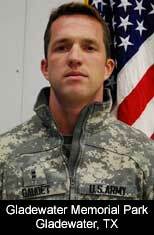 A/C crashed 5 miles E of North Ft Polk's cantonment area while conducting scouting and recon. 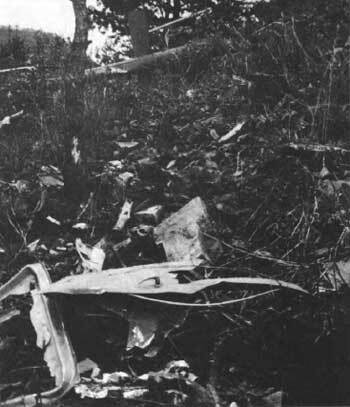 A/C entered a progressive nose-up attitude until the fuselage inverted in flight, entered the trees vertically prior to ground impact in an inverted, left-side low attitude. A/C crashed on Holston Mountain about 6 miles NE of the Elizabethton airport, after flying into a thunderstorm while supporting ground crews conducting drug interdiction operations. At approx 1745 hrs, pilot indicated to ground crew that they were leaving the area due to deteriorating wx conditions. 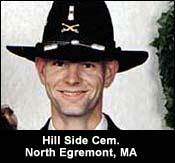 Wreckage was found in a creek drainage 3 days later. A/C contacted trees, lost its M/R and fuselage continued airborne to ground impact on SW side of drainage at 3,100' MSL, rolled approx 70' down the steep sloping terrain and came to rest inverted against a tree. A/C was surveying flood damage in eastern Idaho when it crashed in an open area just north of the farming community of Firth along the flooded Snake River. Low-RPM audio and warning light came on in cruise flight at 500' AGL and 90 KIAS, pilot entered autorotation with turn to align A/C into the wind. During descent A/C hit a 5' fence post and crashed and was consumed by fire. Crash was due to suspected underspeed causing loss of control. 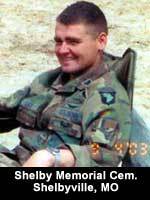 A/C was one of flight of 10 conducting NVG NOE zone recon on Camp Shelby approx 6 mi S of Beaumont, when T/R struck trees and separated from acft causing loss of directional control and crash, postcrash fire consumed the A/C. Mid-air with other OH-58 during live Hellfire missle drill on McGregor Range at Ft Bliss. Chalks 1 & 2 (of 3 aircraft) at BP drifted into each other with M/R blades of Chalk 2 impacting right door of Chalk 1. A/C was part of a flight of 2 providing aerial security for a day counter-drug operation (Deep Thrust) when it hit the ground wire on a set of power lines causing sudden stoppage that sheared the mast and separated the M/R system from A/C, impacting the ground in a nose-low attitude near Bixby. 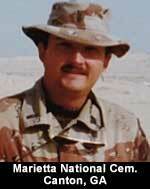 A/C was lead on mission searching for drug smugglers as part of JTF-6, with 2 Apaches flying low-level at 500' AGL. Approx 20km W of Bisbee-Douglas airport, A/C began a rapid climb in excess of 1000 FPM. 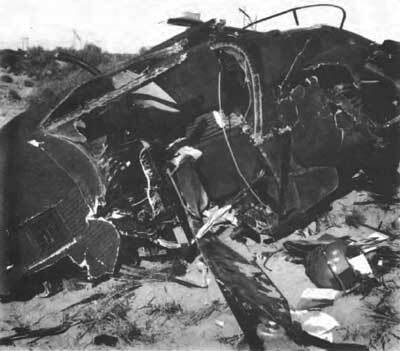 After climbing to approx 2000' AGL, A/C went into a rapid, near-vertical descent with zero or near-zero fwd airspeed and low rotor RPM and impacted the ground at approx 2130 hrs in near-vertical descent and post-crash fire resulted. 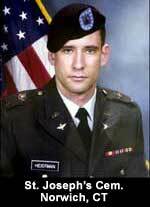 *Jenkins was my roommate in 87-88 at Ft Hood. A/C was at 3' hover, short of an inverted "Y" and descended as it moved laterally to the right, skids contacted the ground and the M/R blades struck the ground and rolled onto its right side during an unaided night training flight near Spring Hill. A/C shot down by North Korea after crossing a "no-fly" zone. 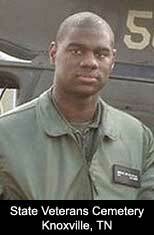 Hilemon was Apache pilot on a DMZ familiarization flight. A/C was Chalk 2 in flt of two during a day VFR mission over mountainous terrain flying at 80 KIAS and 50' AGL when crew transmitted two mayday calls before it crashed on the side of a ridge near Nellis AFB. Cause of engine power loss could not be determined, however it is suspected to have been the result of air in the fuel system. A/C was flight lead in flight of 3 and was RTB at Ft Hood when it entered a low cloud layer along a ridge line and crashed into a hillside approx 2 mi S of Evant at 2230 hours during a routine night training exercise. During a night tactical terrain flight with NVGs, lead A/C in flight of three entered IMC as they crossed over a ridgeline. Crew initiated inadvertent IMC recovery procedures with climbing left turn to 4000'. 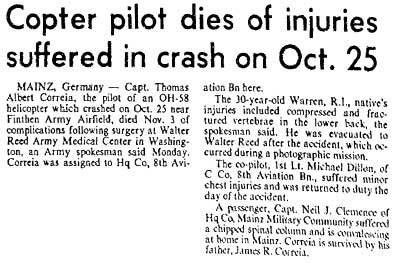 Pilot allowed airspeed to drop near zero and allowed A/C to enter into an uncontrolled rate of descent, impacting the ground in a 20-30 degree nose-low, 30-degree roll and 15-degree yaw attitude with fwd airspeed exceeding 60 knots. Crash occurred at approx 0100 hours in a deep ravine near Golden Pond in Trigg County at Land Between the Lakes. A/C was conducting night aerial observer training when it impacted with high G forces in a sparsely wooded terrain bordering a hay field approx 20 mi E of Troy near Kinyard. 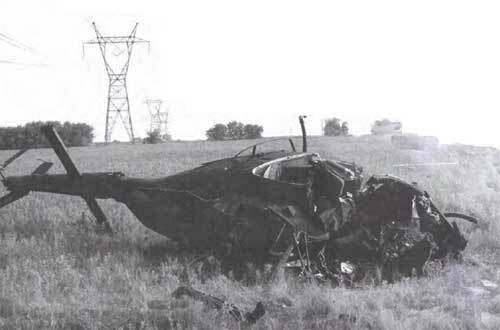 A/C was flight of 3 (2 AH-64) conducting a zone recon 2 mi SE of Abilene, and struck 1/4 inch electrical wires, wrapping around the skids and A/C traveled about 200m hitting the ground nose first with right rolling motion, bounced forward about 20' and came to rest on right side. 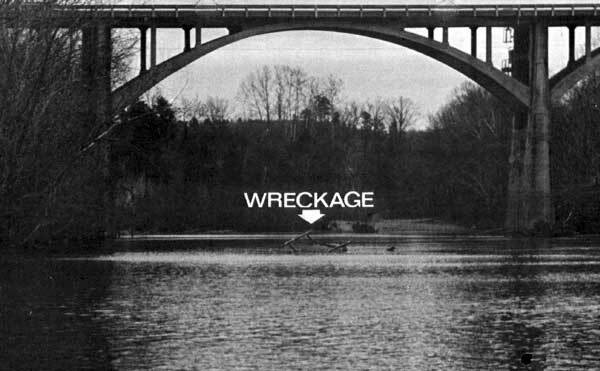 The accident occurred at approx 1850 hours. A/C crashed approx 1500 hours on an orientation flight at AP Hill near Bowling Green. 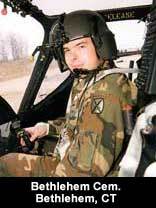 During NVG training mission, A/C hit ground in near-level attitude, M/R made initial ground contact, A/C then struck ground with left skid, followed by left front cockpit and second M/R blade strike. A/C spun on nose, came down on left side and made third M/R blade strike. Crash occurred near Cucharas Reservoir, just off Hwy 10 about 14 miles east of Walsenburg. 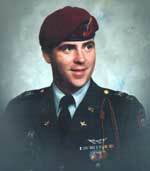 A/C was found at 1015 hours on 07NOV91. 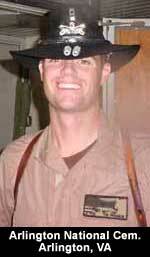 A/C crashed while on recon mission in southern Iraq. 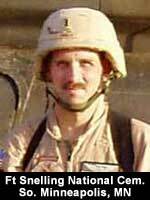 A/C flew into the ground on combat recon to Phase Line LION at NT062952 due to bad weather. A/C crashed at approx. 2230 hours on a night training mission near a rural airfield. Crew allowed A/C to descend below safe approach angle. Crew was on a three-ship zone recon scouting possible air assault locations at NTC on Ft Irwin. A/Cs landed and platoon leader exited acft to speak with CO in other acft located 100m to left front of his acft, slighly uphill when he was struck by M/R blade. 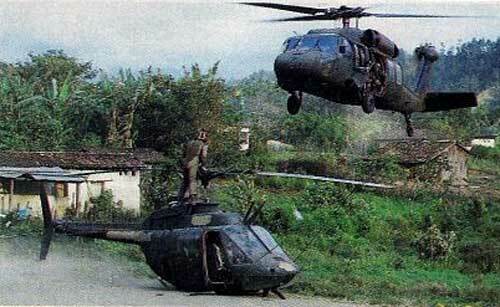 A/C was part of a 4-ship lift peacekeeping mission over jungles on the Atlantic coast of Panama. A/C ran into a heavy rainstorm and lost contact with the ground and crashed into a mountain. 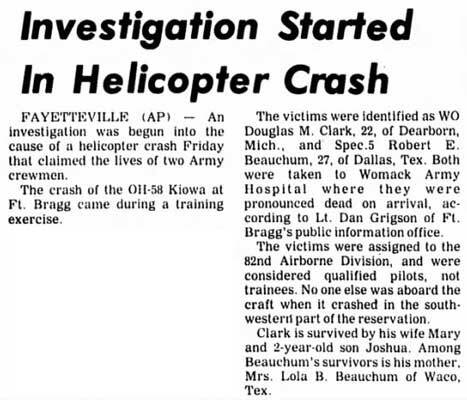 One UH-1H crashed while searching for Kiowa. 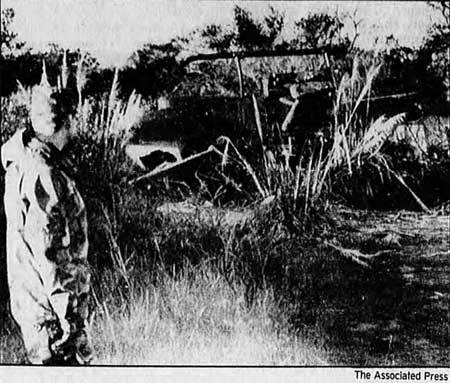 A/C and AH-1 were providing air support during air assault at Fort Amador during Operation Just Cause. 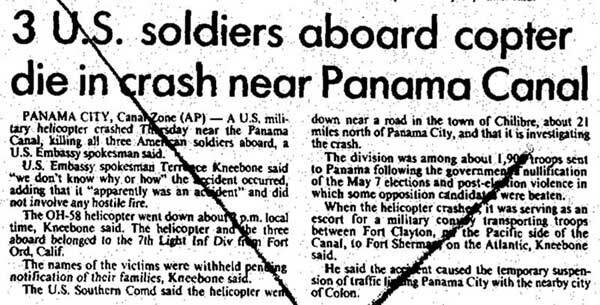 A/C received small arms fire from PDF and crashed in the Bay of Panama about 100 yds from shore. 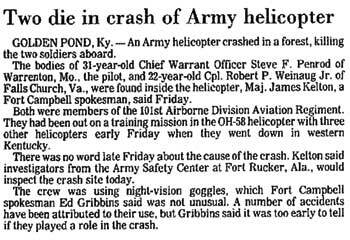 A/C crashed less than 1 mile from small town of Effeldorf during single ship NVG training, hitting the top guide wire on a 350' set of power lines. A/C was on a night VFR tactical NVG training flight from Ft Bragg enroute to a field site at an estimated 100' AGL when it went IMC. A/C crashed on a 27-degree firebreak/road embankment on NE side of Coolyconch Mountain at 0010 hours after loss of control in heavy fog. A/C crashed at approx 1400 hrs on a road near Chilibri after striking three high-voltage electrical wires 132' above the ground near the Trans-Isthmian highway in the vicinity of the Madden Dam water plant while escorting a convoy. During an NVG tactical training flight the crew of an AH-1 (#78-23056) attempted an inflight link-up with the OH-58. 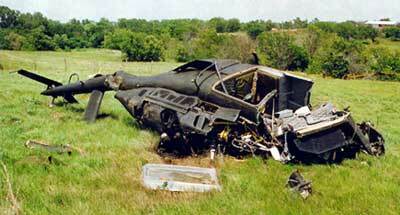 The Cobra overtook and collided with the Kiowa causing the Kiowa to crash. 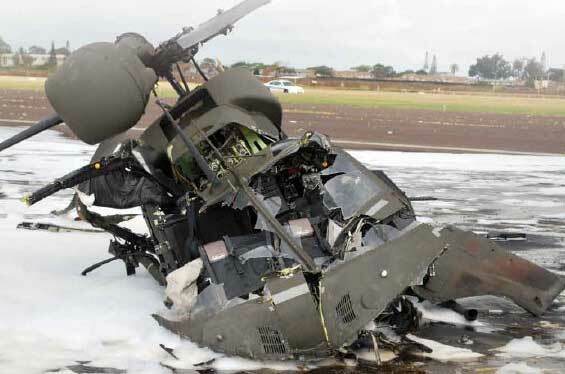 Cobra lost directional control and crashed 150 meters from the OH-58 injuring the crew. 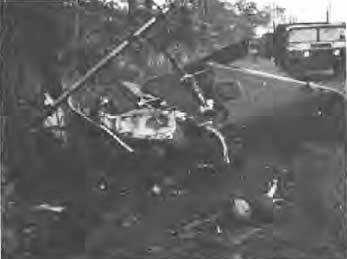 The AH-1 and OH-58 crashed in dense brush 1 1/2 miles SW of Fritzche airfield. 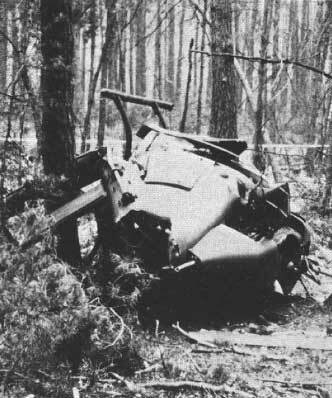 A/C crashed into a heavily wooded area near Ellenberg during NATO exercise Certain Challenge. Pilot initiated a left turn during contour flight and failed to maintain a safe obstacle-clearance altitude. 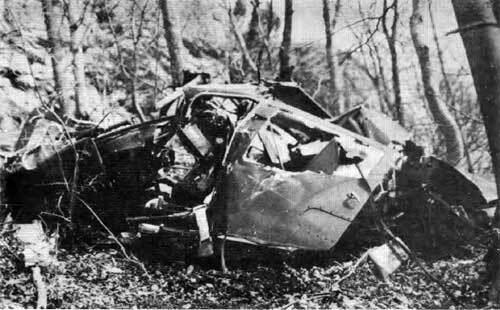 As a result, the M/R hit trees, causing extensive rotor and airframe damage, and A/C crashed through 100' tall trees. A/C was flying 3-5' above surface of Lake Starnberg at 90-100 KIAS when it struck the surface and sank at approx 1400 hrs, while on a flight from Bad Kreuznach to Bad Tolz. A/C was on a service mission transporting a DAC to a conference in Garmisch when it entered inadvertent IMC and was in near-level cruise flight when it hit the side of a mountain about 100' below the crest in heavy fog at approx 0900 hours near Nabern. 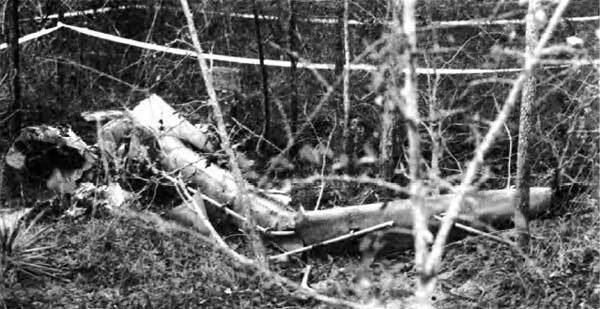 After striking several large trees, A/C hit the ground on a 40-degree incline and rebounded downslope, coming to rest on its right side. 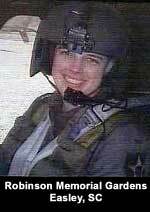 A/C was on a mission to provide combat skills training for an AO on Ft Rucker, flying low-level route at about 60 KIAS and 400' AGL over heavily wooded area. A/C experienced an engine-out audio and light came on, autorotated and fell 30' through trees and crashed in Dixon swamp N of Ozark. The power takeoff helical gearshift that provides power to the drive train had failed due to fatigue. 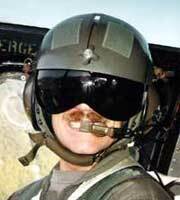 A/C was on a student NVG training mission when section leader began recalling acft due to control zone going IMC. A/C joined another acft and began heading back to airfield when tower put them on a 10-15 min wait for clearance. They proceeded to a stagefield to hold and were joined by three more OH-58s. At 2058 hrs, they were cleared to enter control zone as flight of five, proceeding inbound at 300-400' AGL and when they reached VOR about 2 1/2km north of airfield, they entered fog that extended from ground to 400-600' AGL. They made a shallow left turn for final and lead lost sight of airfield. Chalk 2 continued to descend into the fog, struck trees in a tail-low attitude with 12 deg of left bank. M/R system, mast, xmsn and cabin roof began ripping free when white retreating blade struck a 7" hardwood tree, severing 6' of the blade. 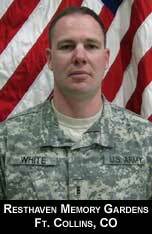 A/C was reportedly flying NOE back to Butts AAF and struck a tree and crashed at approx 0840 hours about 12 mi S of Ft Carson after supporting division artillery. 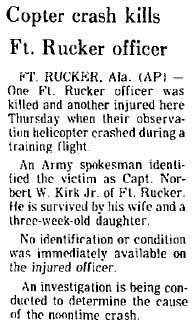 A/C was in a flight of four OH-58s and two AH-1s flying contour level at approx 120' AGL and 80 KIAS enroute to a field site during Reforger 86. 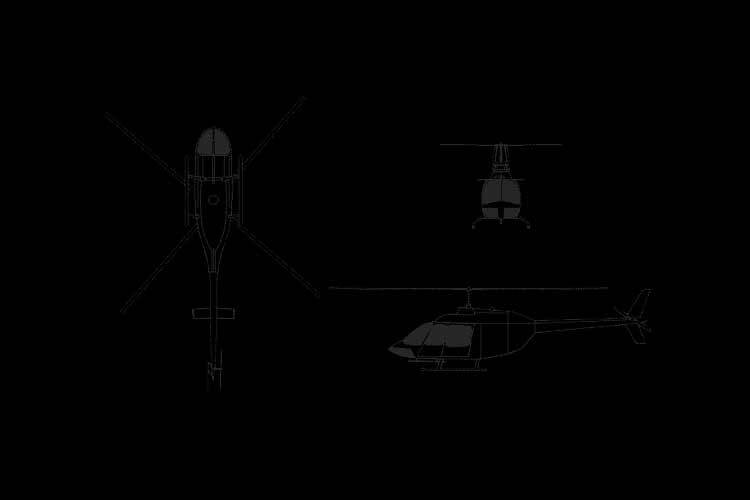 The flight, with the four OH-58s in the lead, made a right turn from a heading of 310 deg to 015 deg. 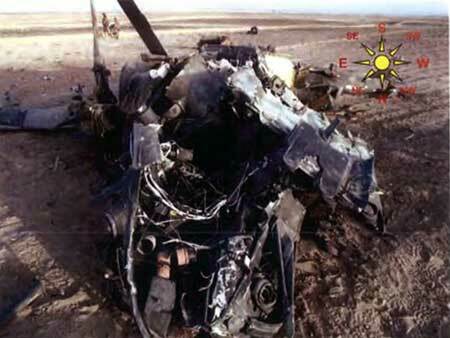 The mishap OH-58, in position four, had turned to 015 degrees and was flying straight and level when the AH-1S Cobra, in position five, overtook the OH-58 on the right side. 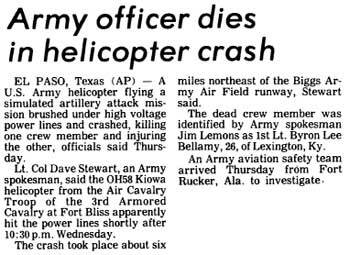 M/R blades of the OH-58 struck and penetrated the AH-1's left engine cowlings, severing the main fuel and oil lines and the engine mounts. 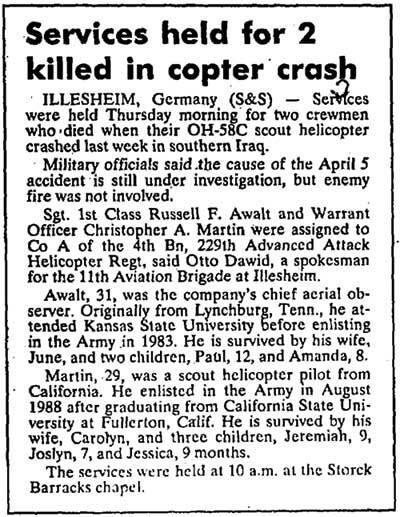 The OH-58's M/R head and blades separated and the A/C fell to the ground SW of Marktredwitz. 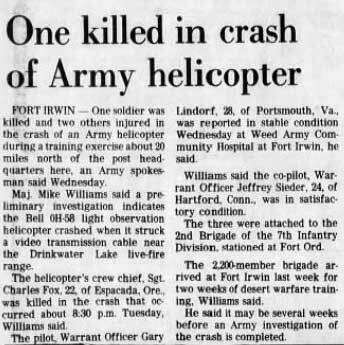 During a flight of two acft, an AH-1 and an OH-58, that were heading to the FARP from an NTC field site flying approx 500m apart, a second OH-58 5km short of FARP crossed a ridgeline and merged into the flight path of the other OH-58 and collided with each other at approx 1550 hrs. A/C was single pilot mission operating out of a field site to fly back to home base to pick up an IP. Pilot departed early morning and received a wx briefing 5 minutes into flight. Pilot was flying at 50-60 KIAS when A/C crashed on a 40-deg slope of a 1,130' mountain, 377' from the top approx 5 mi N of Camp Casey. A/C was in a flight of three OH-58s and an AH-1 flying a simulated artillery attack mission and was returning to airfield. A/C was tasked with leading the flight back, accelerated too far ahead of flight, made a left turn to establish visual contact. During turn, the acft lost some altitude and airspeed. Flight resumes contact and both pilots attention are focused on radio communications when A/C hit power lines and yaws left 60 deg, enters left roll and crashed shortly after 2230 hours approx 6 mi NE of Biggs AAF. A/C was Chalk 2 in flight of two from Ft Campbell on a mountain navigational training flight when it went into a nose-low, left bank, hit trees and crashed near Hawk Mountain at approx 1900 hours while supporting the Ranger School, Mountain Training Camp in Dahlonega. 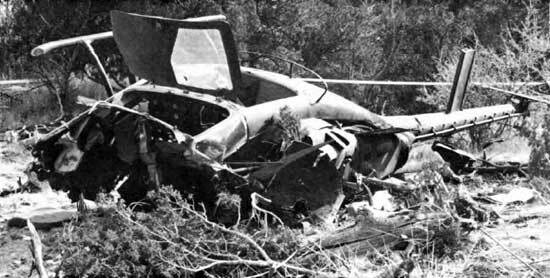 A/C accidentally crossed into Nicaragua and was shot down in the vicinity near Las Trojes by Sandinista rebels. 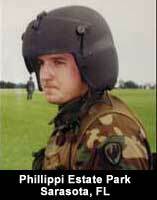 Pilot landed and was killed by SA fire from the rebels after taking cover in a ditch with two PAX. A/C was flying about 40' AGL and 60 KIAS crossing some deep ravines when engine and M/R RPM lights came on and audio warning systems activated. 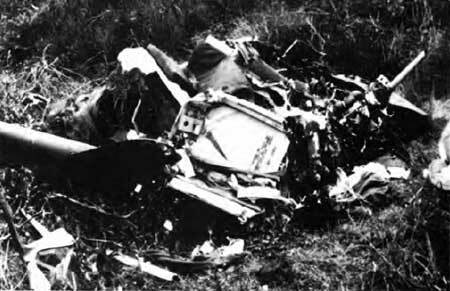 Pilot initiated sharp left turn toward level terrain, but crashed on the slope a ravine, slid downslope and came to rest on left side. Preliminary reports indicate engine failure. 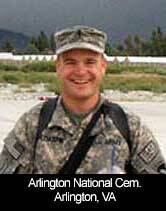 *AO died 2 days later of head injuries. A/C was on a photography mission flying about 60-75' AGL and came to a stable hover. A/C began an uncommanded turn to the right, CP closed the throttle and began an autorotation, landed hard and came to rest upright near Finthen AAF. Cause was due to operation of acft in a flight mode known to be conducive to loss of T/R effectiveness and marginal effectiveness of the antitorque system. 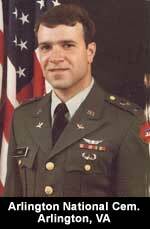 *CPT Correia died 03NOV83 of complications from injuries received in crash. A/C was #2 in flight of 3, but only first 2 departed in flight. Chalk 2 entered IIMC and was seen coming out of low clouds in a steep right turn about 3/4 mi from takeoff point. A/C was seen about 3/4 of a mile from takeoff point coming out of low clouds in a steep right turn at or exceeding normal cruise airspeed when it crashed in a near-level attitude. Mid-air collision at approx 2120 hours during routine training 1/4 mi from Goldberg Stage Field. Under NVGs, both acft departed stagefield and drifted toward each other and collided about 600m S of the stagefield takeoff areas. 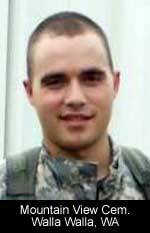 A/C crashed in a heavily wooded area 3 mi NW of the main barracks at Ft McCoy at approx 1600 hours while on a recon training mission. A/C was at 40' above 80-90' trees at an airspeed below ETL, when acft spun to the right at least 2 times. Crew attempted recovery but was ineffective and M/R blades hit the tops of trees, separated and fuselage pitched nose down and hit ground on its nose. 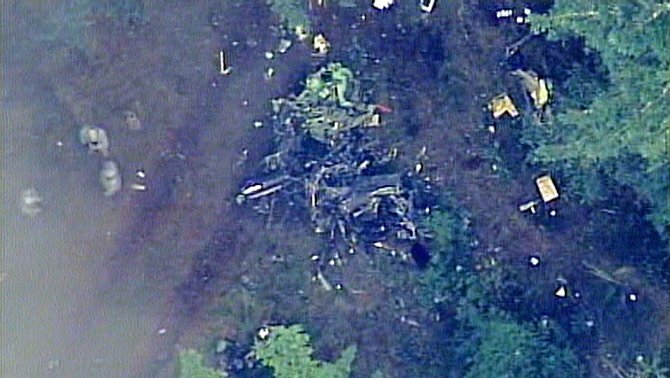 Wreckage discovered 7 hrs after crash. Cause was determined to an ineffective T/R. A/C crashed at approx 2030 hrs near the Drinkwater Lake live-fire range while on a night training flight at approx 55 KIAS and 40' AGL when it hit a wire suspended between two hills. A/C was destroyed on ground impact. 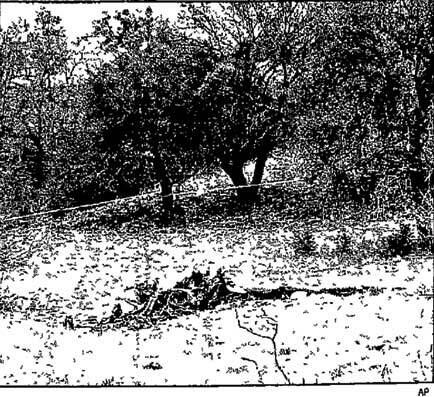 Wire not plotted on crew's hazard map. A/C crashed near shoreline near Ridge during a test pilot training mission. 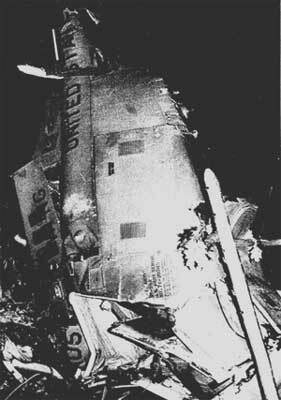 Crew was on autorotative flying qualities demo flight when contact was lost. Indications that M/R and T/R blades departed before impact. 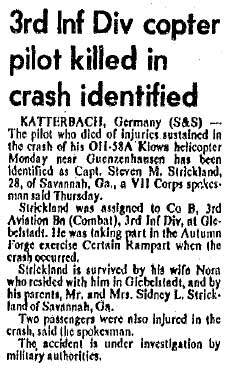 A/C crashed near Guenzenhausen while taking part in the Autumn Forge exercise Certain Rampart. A/C was flying about 10-15' AGL and approx 50 KIAS while on a mission to provide the commander with enemy locations, movements and targets. Pilot spotted a jeep traveling 30-40 MPH on a road running north-south and went into a shallow left turn and slight descent, passing over rear of jeep when T/B hit the jeep's antenna and T/R blades struck antenna and mount causing blades to separate. A/C yawed right, hit the ground in a nose-down attitude, rolled left and came to rest on its right side. During crash white M/R blade struck the right front side of fuselage hitting the pilot's helmet. A/C from Ft Bragg crashed shortly after takeoff on Craney Island near the water's edge of a Navy fuel pier. Wx was 10 knot winds and scattered heavy thundershowers and 1 mi visibility. A/C went down sideways in a marshy drainage ditch about 150' from a fuel line at the fuel depot. A/C crashed at approx 1845 near Engineer Lake on Ft Hood after departing field site in marginal weather while in support of a III Corps field training exercise. A/C went IIMC and pilot lost visual reference, lost control and dove straight into ground. A/C was on a tactical training mission during Operation Golden Warrior flying at 65 KIAS and below 50' AGL when it hit wires near Tamarack and crashed. 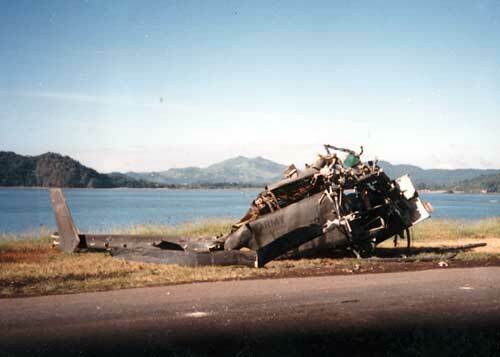 Pilot fatigue was a contributing factor in crash. A/C was on a tactical training flight near Frankfurt during the "Certain Shield" exercises, flying at 65 KIAS below 50' AGL when it hit two wires, nose pitched up, A/C climbed 20' and as the wires broke, entered a nose-down, right-roll descent, hitting the ground 235' from the wires. 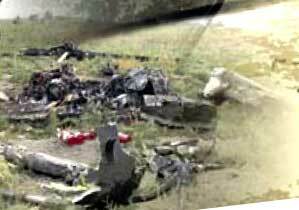 A/C exploded during a training flight and crashed into the woods near the town of Eschenbach. A/C crashed in accident from Schofield Barracks. A/C struck some power lines, crashed into a cliff and fell into the Buffalo River in Searcy County at the crossing of the Buffalo River bridge and US 65, 6 miles N of Marshall. 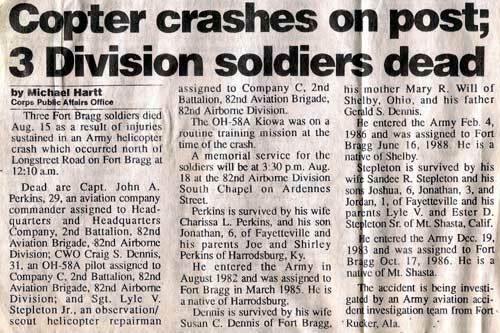 A/C crashed in the first day of Reforger '77 exercise Carbon Edge. A/C picked up PAXs at a field site and climbed to 85-90 AGL, with speed faster than a hover and slower than normal cruise. Pilot made a tight right turn to avoid hitting wires but tail struck the wires and A/C began to spin to right approx 6 times and crashed into trees. A/C from Ft Bragg crashed in the area of Hope Mills. Suspect loss of T/R control. 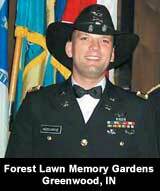 A/C was on a first light recon mission at approx 0650 hours when it struck a tree during a low altitude turn. 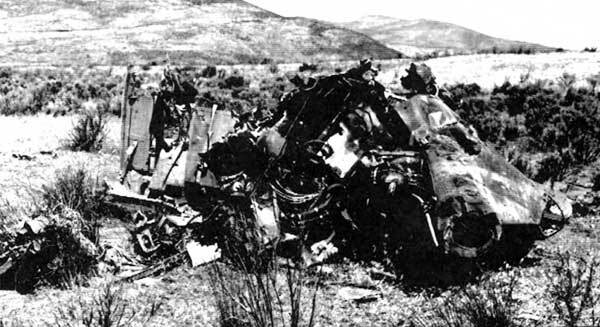 At approx 0650 hours, A/C made a pass between two hills on Yakima firing range upon which were parked an M-60 tank and an M-113 APC. A/C banked steeply to avoid hitting the vehicles and then came around for another pass. At that time, the outboard 12" of the rotor blade impacted the gun barrel of the tank, which was angled off to the side of the vehicle, causing M/R separation and impact with ground. 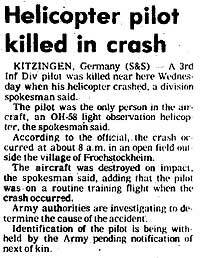 A/C went IIMC while attempting to land at intermediate AAF on service mission from field site and crashed at approx 0803 hours in an open field outside the village of Froehstockheim near Kitzingen. Solo pilot flew A/C into the ground. A/C was returning to Bamberg from Graf and had dropped off a PAX at Bindlach. 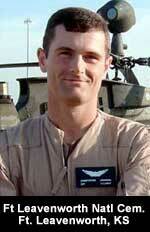 It was near sunset and growing foggy when he left, air search unsuccessful, ground troops found wreckage (two?) days later. 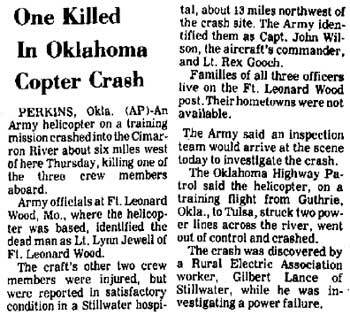 A/C crashed when it struck powerlines 60' above the Cimarron River, 6 mi W of Perkins while on a training flight from Guthrie to Tulsa. After hitting the powerline, A/C traveled 344' and came to rest inverted on a sand bar. A/C crashed and broke into pieces after striking a tall tree at approx 2305 hours in a wooded area on the edge of small lake off Lake Norman in the Sherill's Ford-Terrell area off HWY 150 while returning to Greensboro from Charlotte. Wx was also a factor with conditions 500' broken, 1000' overcast and 2 mi ground fog. A/C struck four power and telephone wires 30' above and across the Yellowstone River bank about 3 miles W of Columbus at approx 2000 hours. After contacting wires, A/C pitched up, yawed left and crashed on north bank of the river. A/C crashed and burned on Mt. Toro between Monterey and Salinas while on a routine training flight. 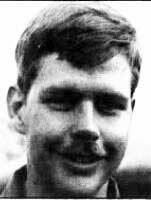 A/C was on a flight from Camp Gary Owen to Camp Casey when it hit several trees, rolled into a ravine and caught fire about 10 mi N of Uijongbu. 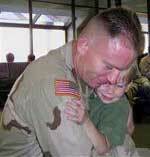 Two boys (12 and 19) were killed on the ground and 4 more were injured. 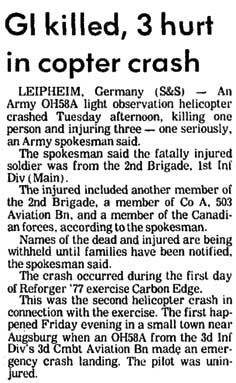 A/C crashed and exploded in the Vogelsburg Mountain area near Schotten, approx 36 mi NE of Frankfurt during exercise Caravan I after hitting the tops of trees up to 45 ft tall. A/C crashed in the Charyeong Mountains area near Cheonan after leaving Osan AB enroute to base at Taegu. One of 3 A/C carrying personnel on a recruiting mission to Enid, Oklahoma. A/C crashed at approx 1400 hours just north of Guadalupe Pass after encountering bad weather. Mid-air practicing for the start up of the Army Aviation Demonstration Team. Pilot of other A/C was pulled out by ground person. A/C crashed at the Wildflecken training area during a routine training mission. The tail hit a tree forcing the craft into a power line. 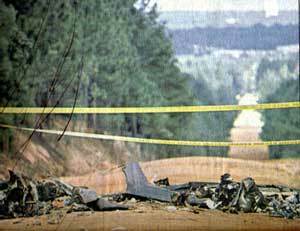 Tail boom separated and A/C fell into woods while taking the transition course at Ft Rucker. 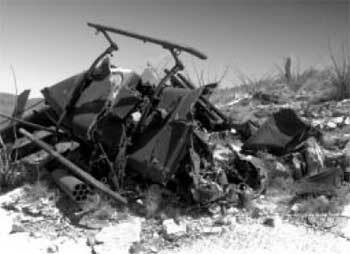 A/C crashed just south of North Nolan Road on Ft Hood at approx 0945 hrs during a training mission. 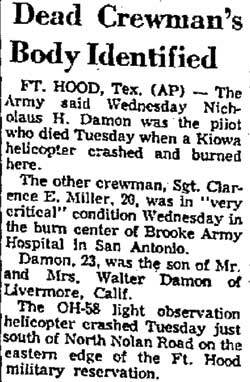 *Miller died 28AUG71 of burn injuries received in crash. A/C crashed due to wire strike near Chuncheon while on a regular operational mission. A/C crashed 500 meters from the western boundary of Ft Hood near Rogers Mill Ranch after hitting a tree during low level flight. A/C crashed and exploded near Chuncheon while on a routine administrative flight from K-16 to Camp Page. A/C struck a power line and crashed at the Hohenfels Army training center during a routine training mission.